Oliver Schmitt aka SOUNDS OF REVOLUTION (SOR) continues his highly acclaimed and best-selling Minimal Techno sample pack series distributed by Resonance Sound. Following the multi-magazine-awarded predecessors, SOR Minimal Techno Revolution Vol.5 is again full of fresh techno samples like clicks and glitches, weird loops, awesome percussions, dirty chords, lots of drum loops with/without kick, ground shaking never heard effects, haunting atmospheres, organic analogue loops, mangled Vocals, noisy elements and just so much more, making your next techno production session even more exciting! 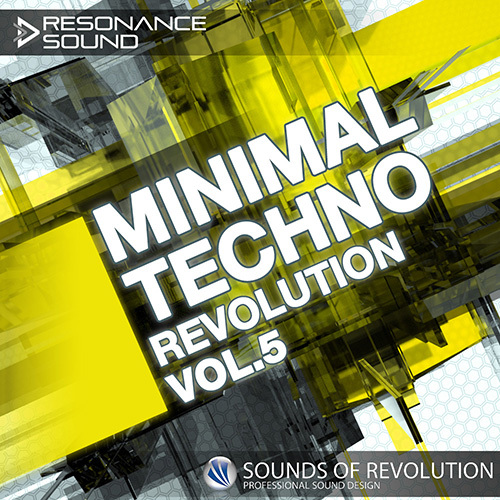 SOR Minimal Techno Revolution Vol.5 covers also loads of organic sounds right next to all-time favorites such as true analog drums. All samples are carefully sorted into categories for easy access and grabbing what you need fast! This sample pack is a true gem for all producers who love to tinker with all-new and fresh sounds for minimal, techno, electronic, deep & dub house and so much more. Have a listen to the demos below – SOR Minimal Techno Revolution Vol.5 easily proves once again that skillful attention to detail translates into a unique, creative and handy addition to any electronic music producer’s toolkit. Melody. Dirt. Groove. Kick it! Note: This reworked pack (14 new loops) was previously sold as “SOR Deep Organic & Dirty” – Please check your account before making a purchase as no refunds can be given.